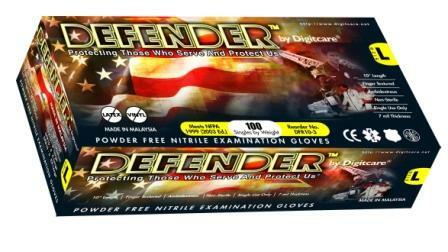 Defender powder-free textured nitrile exam gloves are available in 10" and 12" lengths. These gloves are suitable for a wide variety of applications and offer superior protection. Defender is free of latex proteins and designed for healthcare professionals who are sensitive to latex. Defender is our most popular nitrile glove.